Apple doesn't say which batteries should be used with its devices. First it was hoverboards. Then it was smartphones. Now there’s a new exploding gadget you need to watch out for: headphones. 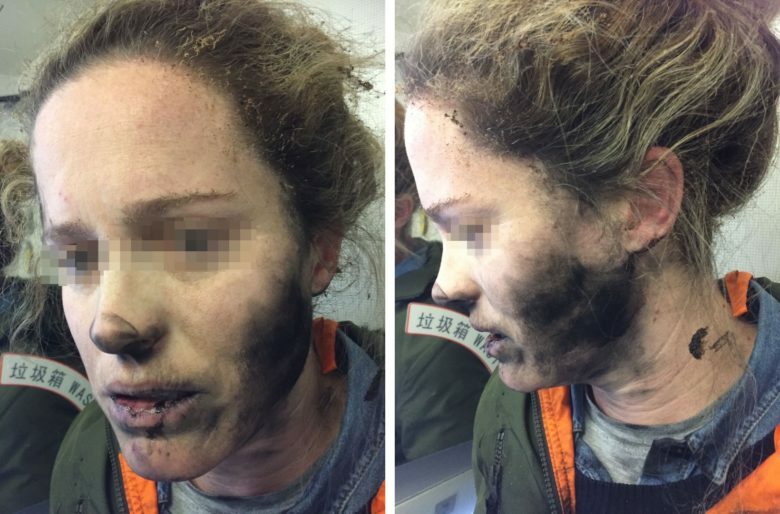 An Australian woman received a rude awakening on her flight from China last month when her noise-cancelling headphones exploded in her face after she dozed off. The battery in the headphones burst into flame mid-flight, according to a report on the incident by the Australian Transport Safety Bureau. Luckily for everyone on board a flight attendant sprang into action. A bucket of water was quickly retrieved and poured on the headphones. The flight crew then put the headphones in a bucket in the back of the plane. Officials haven’t disclosed what type of headphones the woman was using. Whoever makes them though, they pack a punch. Both the battery and cover were melted and stuck to the floor of the aircraft. Fumes from the explosion filled the cabin the rest of the flight.